Further evidence that the term “mild” should never be used in connection with brain injury can be found in a study published in the March 2013 issue of the Journal Radiology. In the study, NYU medical school researchers measured changes in global and regional brain volume over a one year period in 30 patients with “mild” traumatic brain injuries and typical post-injury symptoms including anxiety, depression and fatigue, and other symptoms such as headache, dizziness and perceived cognitive problems. The study demonstrated that after a single concussive episode there was measurable atrophy, or decrease in mass of the brain, one year after injury. It is well known that progressive atrophy of the brain occurs after “moderate” and “severe” TBIs. This study documents that the same thing can occur after a single concussion. The study further found that the changes in brain volume correlated with performance on neurocognitive tests involving memory, anxiety and other postconcussive symptoms. This study is important because it provides concrete evidence that persistent symptoms following a “mild” TBI can have a tangible chronic pathophysiologic origin. 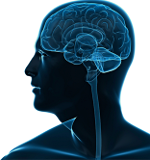 Not surprisingly, the study found significant intersubject variability in brain changes.